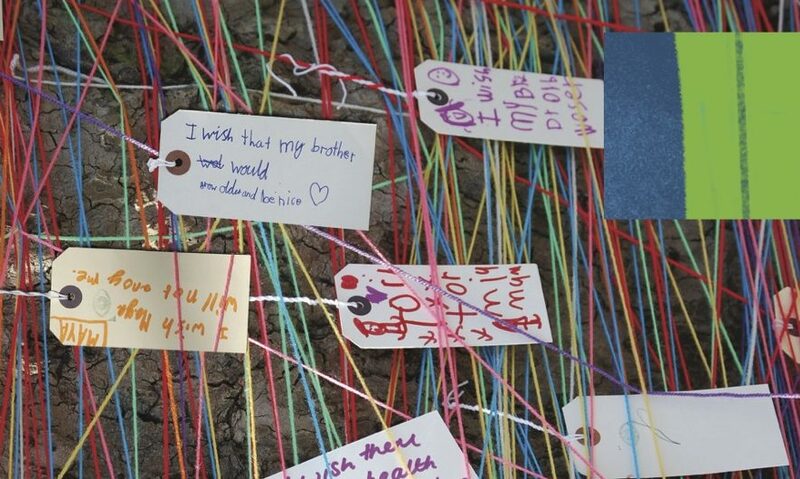 The Wishing Thread transforms the Valletta cityscape with small groves of children’s wishes and trees indigenous to Malta. Children will be given the opportunity to weave coloured threads through the groves, each child making and tying to the trees a wish for a friend or loved one. Inspired by the Vat Savitri festival in India, The Wishing Thread brings to life the hopes and desires of children in Malta. u b’siġar indiġeni għal Malta. It-tfal jingħataw l-opportunità jinsġu ħajt ikkulurit f’dawn l-imsaġar fejn kull tifel u ti a jixtiequ xi ħaġa sabiħa għal xi ħabib jew xi ħadd li jħobbu u jorbtuha mas-siġar. Ispirata mill- festival Vat Savitri li jsir -Indja, “The Wishing Thread” tagħti ħajja lit-tamiet u x-xewqat tat-tfal f’Malta.